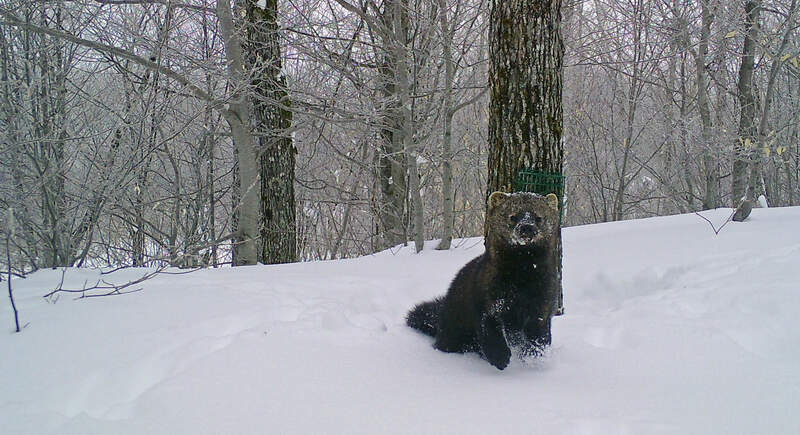 Bryn Evans, who is pursuing a Ph.D. in wildlife ecology at the University of Maine, is working with wildlife habitat ecology professor Alessio Mortelliti to develop a protocol for monitoring carnivores in northern Maine. 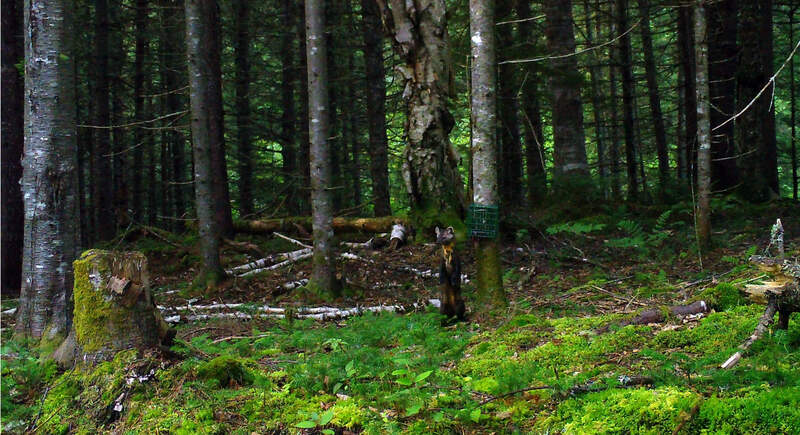 By luring animals to camera traps using bait, the researchers are getting a better understanding of some of Maine’s more stealthy creatures, such as martens, fishers, coyotes, bobcats, lynx and bears. UMaine and the Maine Department of Inland Fisheries and Wildlife (IF&W) initiated the project, which also has received support from the Collaborative Forestry Research Unit. 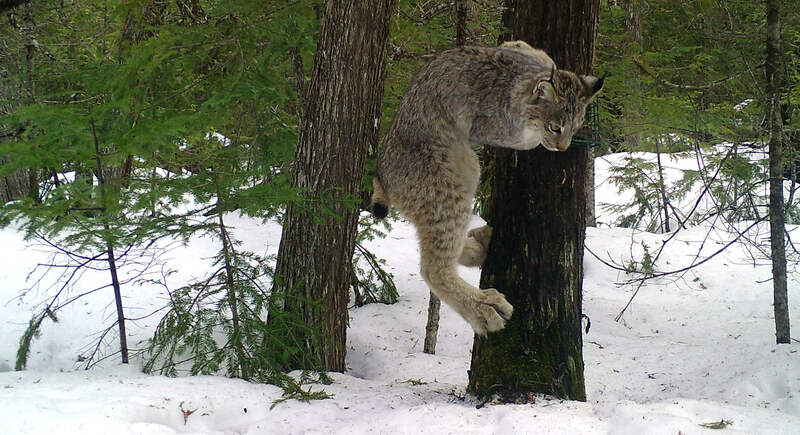 The researchers hope to establish baseline estimates for the occupancy probability, or the likelihood that a species is using an area, and the detection probability, the likelihood the researchers will see it if it is present, for several carnivore species across different habitat types and management regimes in northern Maine, according to Evans. 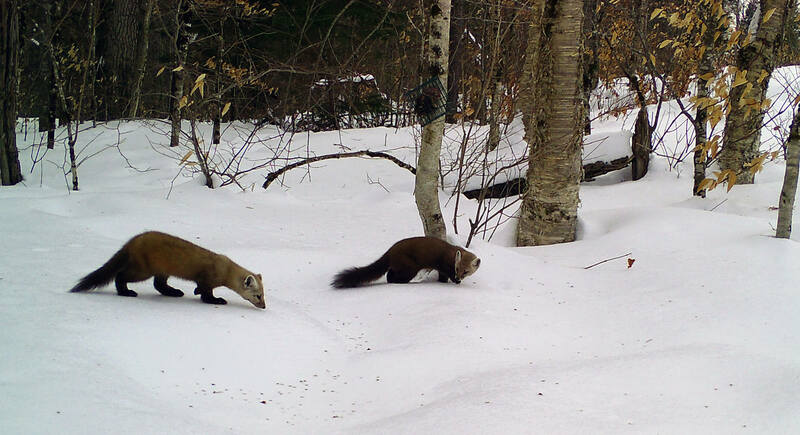 Marten and fisher are the top-priority species in the project. 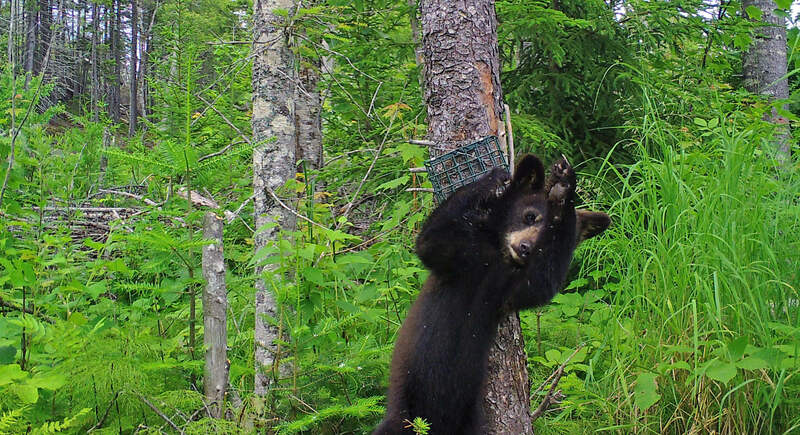 The researchers hope the camera traps can provide valuable information to supplement the harvest reports and other tools currently available to IF&W, says Evans of Santa Cruz, California. After four years of data collection, the researchers aim to provide guidelines on the number of camera stations and the length of deployment required to reach a desired level of certainty for several different species in a variety of habitat types, Evans says. In June 2017, after working with map data, contacting landowners for access and choosing random target locations, the researchers set 121 survey stations. Starting in January 2018, Evans returned to the sites to collect matching winter data. When she’s not in the field, Evans and student volunteers categorize the images — about 80,000 and counting. 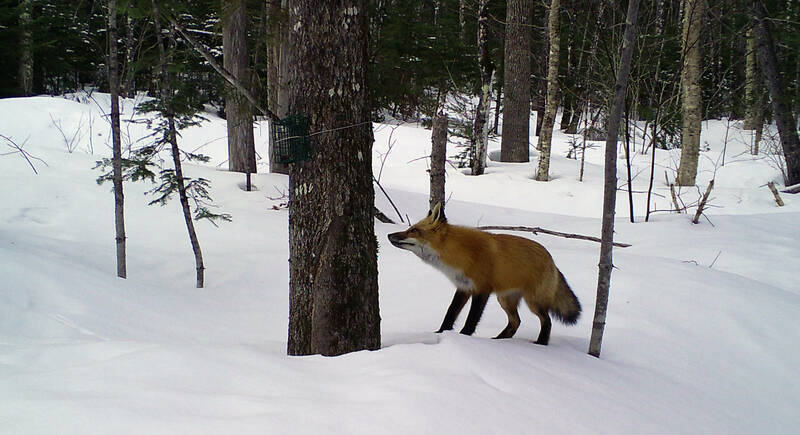 Camera traps in northern Maine offer researchers a glimpse at some of Maine’s more stealthy creatures, such as bears, martens, fishers, coyotes and lynx. Photographs courtesy of Bryn Evans and Alessio Mortelliti. 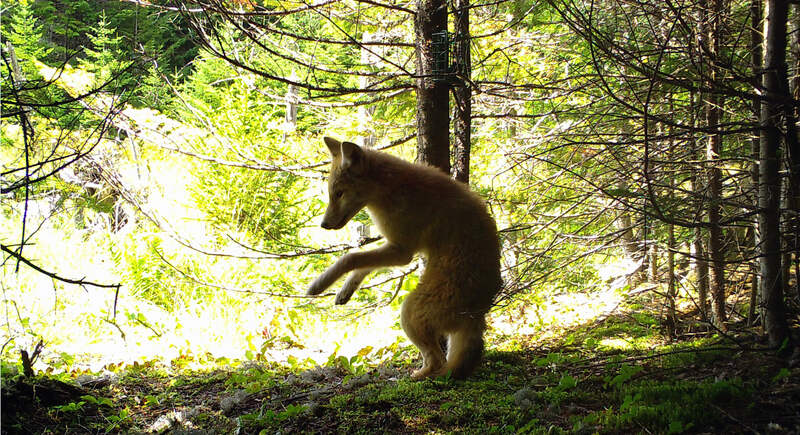 Camera traps offer a fascinating peek into the daily lives of animals, Evans says. When it comes to research, Evans says she believes knowledge is power. 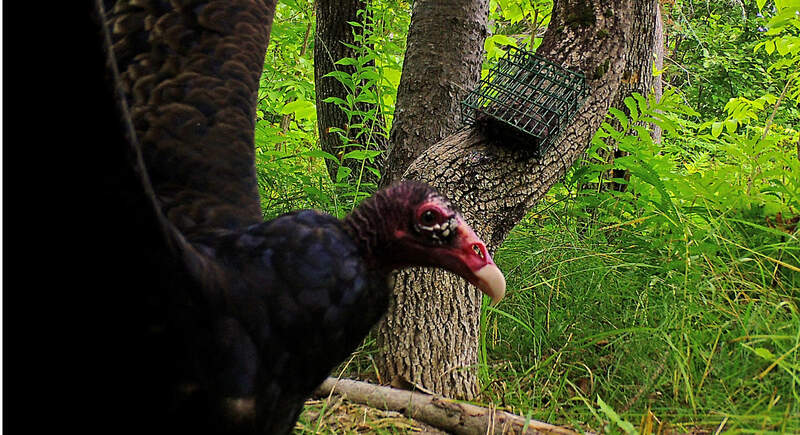 “Management, recreation and industry all benefit when we have a better handle on the ‘what’ and ‘why’ that drive animal populations, and trail cameras are a really exciting tool to help build that knowledge,” she says.